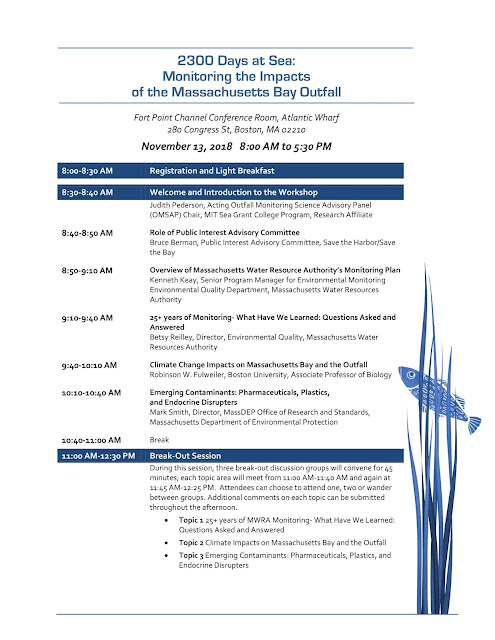 On Tuesday, November 13 Save the Harbor/Save the Bay and the Outfall Monitoring Science Advisory Panel (OMSAP), the Public Interest Advisory Committee (PIAC), Massachusetts Department of Environmental Protection, U.S. Environmental Protection Agency, and MIT Sea Grant College Program are hosting a conference: 2300 Days at Sea: Monitoring the Impacts of the Massachusetts Bay Outfall. 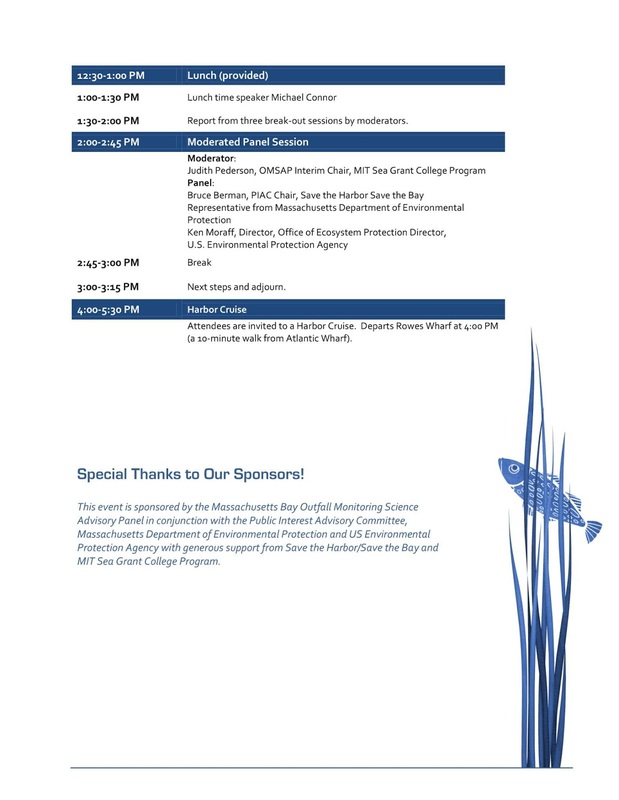 This conference will focus on the last 30 years of data from monitoring the Massachusetts Water Resources Authority's marine outfall, which discharges from its Deer Island facility 9.5 miles into Massachusetts Bay. There will also be interactive breakout sessions to discuss questions and any concerns that may warrant additional study and monitoring. The conference, which is free and open to the public, will take place on Tuesday November 13th at Atlantic Wharf in Boston. To register, please use the form here: https://tinyurl.com/Nov-13-OMSAP-RSVP. 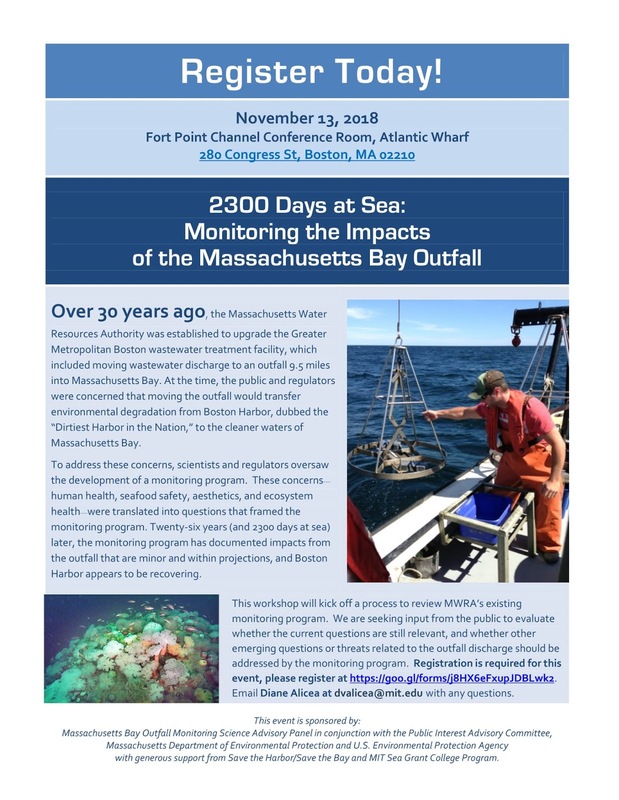 At Save the Harbor/Save the Bay we believe that the MWRA's monitoring has been critical to our understanding of the impacts of the outfall on Mass Bay and the marine environment. When we were founded in 1986, we promised the public that the cleanup of Boston Harbor would not come at the expense of Mass Bay or Cape Cod Bay. Based on our review of the data it is clear that many of the impacts that the public was concerned about at that time have not materialized. After nearly 30 years of study, we believe that some of the original questions the monitoring was designed to address have been asked and answered, while others continue to be important. 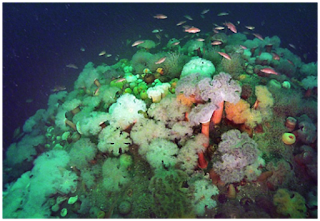 However, the ocean is getting warmer, deeper and more stormy, which has already begun to have impacts on the timing, duration and extent of algae blooms, and on the range of species of critical ecological and economic concern including lobsters, flounder, black sea bass and marine mammals. 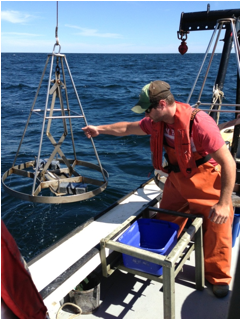 We also believe there are emerging issues, such as the impacts of pharmaceuticals, micro beads, plastics, estrogen imitators and endocrine disruptors on marine life and human health, which merit additional monitoring and study. Your input at this conference will serve as the new basis for OMSAP’s important research in the years to come. We hope that you will attend to learn about the outfall and its effects on the marine environment. We also hope that you will share your concerns and thoughts about how we can refine and improve the monitoring program going forward. To register for the conference, please use the form here: https://tinyurl.com/Nov-13-OMSAP-RSVP. When: Tuesday November 13th, 8:00am-3:15pm. Enjoy a free harbor cruise after the conference!